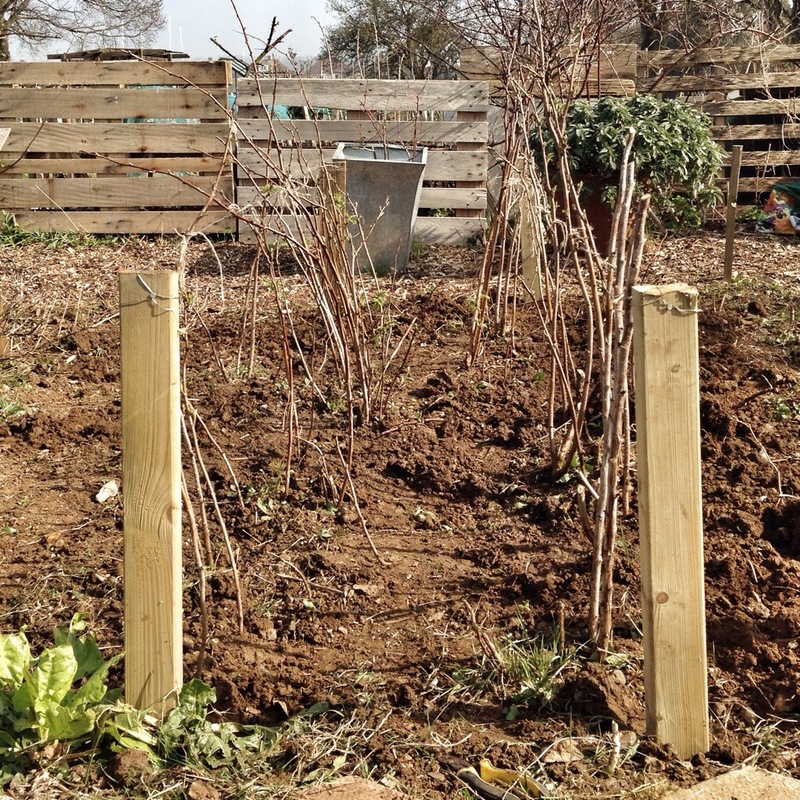 Your plot is looking good – inspiration for me at the start of my journey! Isn’t it great to be able to start picking salad leaves and herbs again? The vertical salad planter looks good. There’s a cafe near us that has a similar planter by the door – I keep pointing it out to my husband in the hope he’ll make one for me… maybe I need to be more direct and just ask him to do it, or make one myself! Yeah, have a go. It’s not too hard really. The salad is growing really well at the moment. Thanks for the warning. The person I got them from said 6ft, but perhaps she meant 6m! I’ve seen so many DIY tutorials on how to build your own vertical planter, but I haven’t seen this style before. Are they easy to build and maintain? Pretty easy to build, the lengths of gutter fit snugly into the gap between sections of the pallet. I’ve painted it with shed paint, so it’s a bit protected from the weather and the wood shouldn’t rot. Thanks for the comment. What a pretty plot you have! Hope you have a great season. Thanks so much. It’s been eight years since we got the plot; and it’s taken almost that long to get it looking like it does. Hope you have a great season too. The new season’s veg are just so much nicer than the bits and pieces left over from the previous year. We ate some over-wintered Radicchio yesterday, and it was tough and leathery. I can’t wait to get some lettuce seedlings into the ground! The giant peas sound interesting, but it seems as if you may need a step-ladder to harvest them. Yeah, going to need to fashion some steps for harvesting I think. What variety of radicchio did you grow? I want to have some on the plot this year.